How An AWS Bill Was Cut 90% By Going Serverless — Migrating a Node Express.js app from Elastic Beanstalk to Lambda and API Gateway. Anatomy of a 'Serverless' Application — A step-by-step walkthrough of a Node-based serverless app built on the Serverless framework. 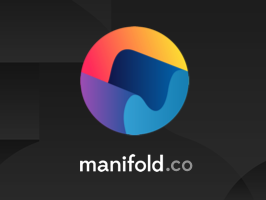 Manage your services like a developer — Manifold is the simplest way to implement the services you need in your app. Manage logging, mail, databases and more with a single account. Start building your stack today. AWS Lambda and API Gateway Now PCI DSS Compliant — Of vital importance if you want to process and store sensitive payment card data. A Video Introduction to Azure Serverless — An episode of a Microsoft-produced ‘tech show’ that focuses on Azure’s serverless functionality and provides a reasonable high-level overview. Create a Serverless Solution for Video Frame Analysis and Alerting — Very cool look at combining live video and image recognition using serverless solutions from Amazon. Everything Is An HTTPS Interface — Interesting look at how the philosophy behind Linux can apply to serverless architectures. Google Cloud Functions vs Google Container Engine — Why and when you might choose either over the other. Chalice: A Python Serverless Microframework for AWS — A framework built by AWS themselves has just reached version 1.0.